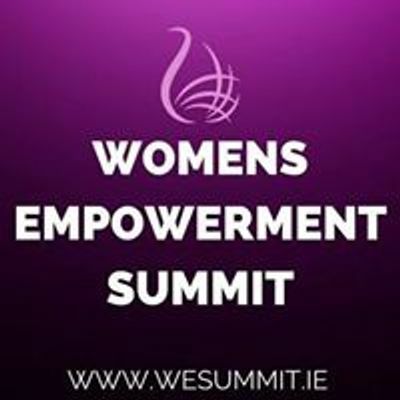 At the event you will hear the stories of these empowering women and they will share with you how they got to where they are today, even though the odds may have been stacked against them. Being around a supportive team is also important, and at the event you will get the opportunity to meet people with similar goals to you, so you can get excited about having the life you want and deserve. In fact, our approach has become so effective that a book was created about it! "WE Summit Together" hit number 1 bestseller this year and has been 5 star rated. This event is more than a seminar, it's a life-changing experience! Make it a must for you. Maura Derrane - Experienced TV Presenter and Journalist. Sene Naoupu - Ireland women's rugby union international. Winner of the 2015 Women's Six Nations championship, represented Ireland at the 2017 Women's Rugby World Cup, and is an Ireland women's rugby sevens international. 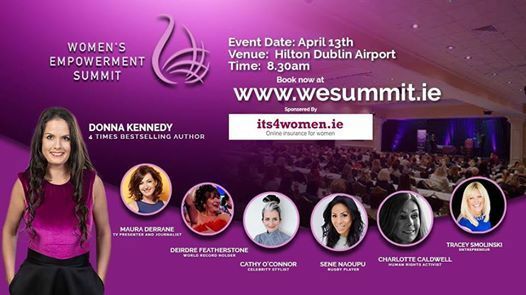 In 2016, Naoupu was listed by The Irish Times as one of the thirty most influential women in Ireland. Charlotte Caldwell - Human Rights Activist who made a ground breaking change in UK legislation. 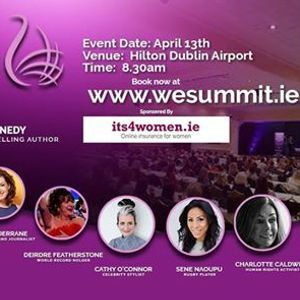 Cathy O'Connor - Celebrity Stylist who will demonstrate how you can absolutely love your body with the right approach and attitude. This event is supported by its4women, online car insurance for women.